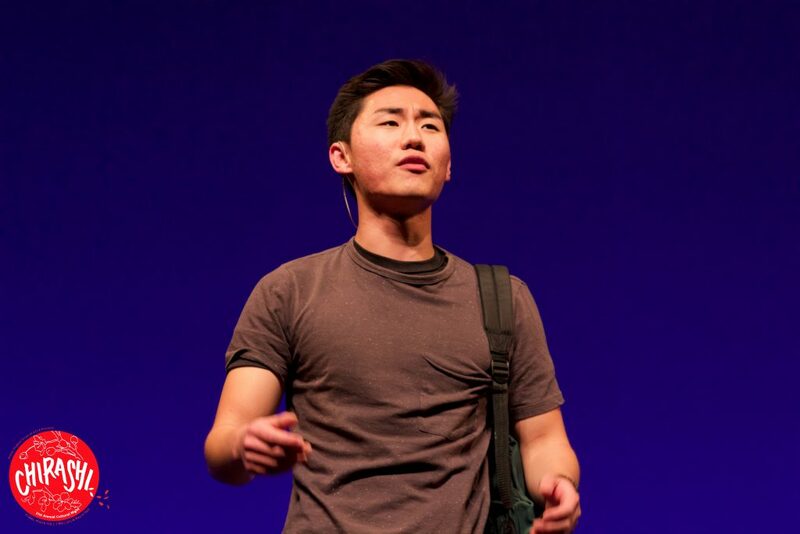 On Friday, March 3, Nikkei Student Union (NSU) hosted their 31st Annual Cultural Night: “Chirashi” in Royce Hall, a reminder of the persecution and discrimination Japanese Americans faced during World War II, with the implementation of Executive Order 9066 on Feb. 19, 1942. This executive order forced more than 100,000 people of Japanese descent living in the United States, mostly American citizens, into incarceration among ten concentration camps, a process that not only violated personal liberties but also took away ownership of property and tore apart families. This year’s title, “Chirashi,” meaning “scattered,” is a Japanese dish usually served with a mix of different kinds of fish and vegetables that are laid together on top of rice. Chirashi “was a metaphor for the multiple storylines within the drama that conveys the larger theme of acknowledging the variety of motivations that bring people into our community,” said Emiko Kranz, the current NSU president. We are first introduced to Lynn (portrayed by Stacy Kadomasu), who is somewhat a hot-headed girl. She is followed by Samson (Justin Shinn), who invites her to his staggering family restaurant, Chirashi. Lynn often worked begrudgingly in the restaurant because she owes Samson a debt, but, through Samson’s cousin June (Emiko Kranz), who is helping with the family restaurant, Lynn learns that Chirashi had been a safe haven for Japanese Americans during WWII — a place where they could be treated like equal human beings. However, Samson, despite being the current restaurant owner, ran off with the restaurant’s funds, including June and Lynn’s payments. The story later reveals that Samson ran away because his fate was tied to the restaurant, which burdened him. Samson explaining why he had left the restaurant. Photo courtesy of Brian Kohaya. As soon as Samson ran off with the money, a contracting firm appears, announcing that the restaurant will be soon evicted. Meanwhile, Tetsuya (played by Joey Yasuhiro) is introduced as one of the contracting firm representatives, who had a similar experience to June and Lynn. In order to protect his family’s flower shop and his sick mom, Tetsuya joined his uncle’s contracting firm, where he has to evict staggering yet historical and community-centered shops often. In the end, Samson returned the money to June and Lynn, who then worked with Grace (Kendra Motoyasu), an architect and Tetsuya’s friend, and Noburu (Andre Leite) who quit working at the contracting firm, to restore Chirashi as a place for the community. 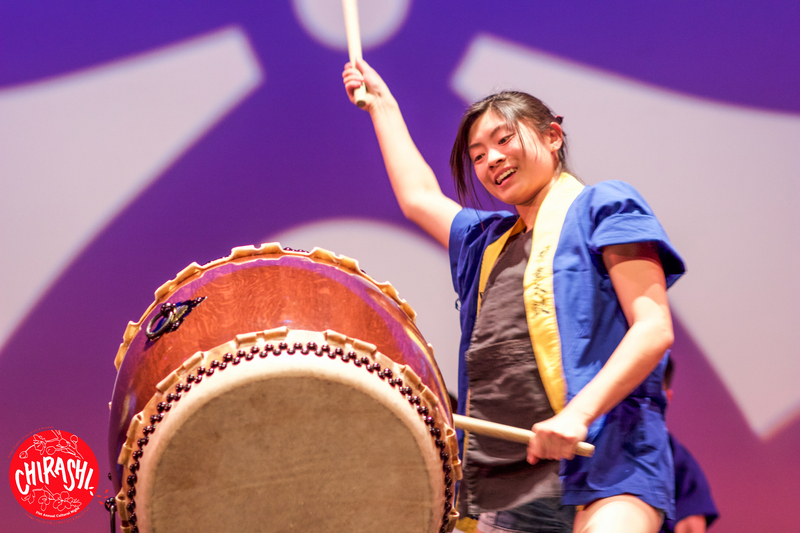 Throughout the show, NSU Modern, Odori, and Kyodo Taiko’s performances demonstrated the different aspects of Japanese and Japanese American cultures and reinforced the culture night’s themes by conveying the emotions of the characters. Performance by Kyodo Taiko. Photo courtesy of Brian Kohaya. For example, “Tanuki Senbonzakura” by NSU Odori, “Boot Camp” by NSU Modern, and all of Kyodo Taiko’s compositions were military themed. Through “Chirashi,” NSU hoped to communicate the importance of perspective, historical consciousness, and resistance to injustice through their experiences as Japanese Americans. Today, fear-mongering against the Muslim communities in the United States is perpetuated by the signing of Executive Order 13769 on Jan. 27, following the presidential inauguration of Donald Trump. The executive order placed restrictions on refugees entering the United States, targeting individuals coming from the countries Iran, Iraq, Libya, Somalia, Sudan, Syria, and Yemen. It should be no surprise then that the issuance of Executive Order 13769 has spurred many Japanese American communities to stand with the Muslim communities due to similarities of propaganda used to target these groups. It is through these conditions that the Nikkei Student Union’s Cultural Night serves as a powerful platform to share knowledge about their history to the surrounding UCLA community during these times.